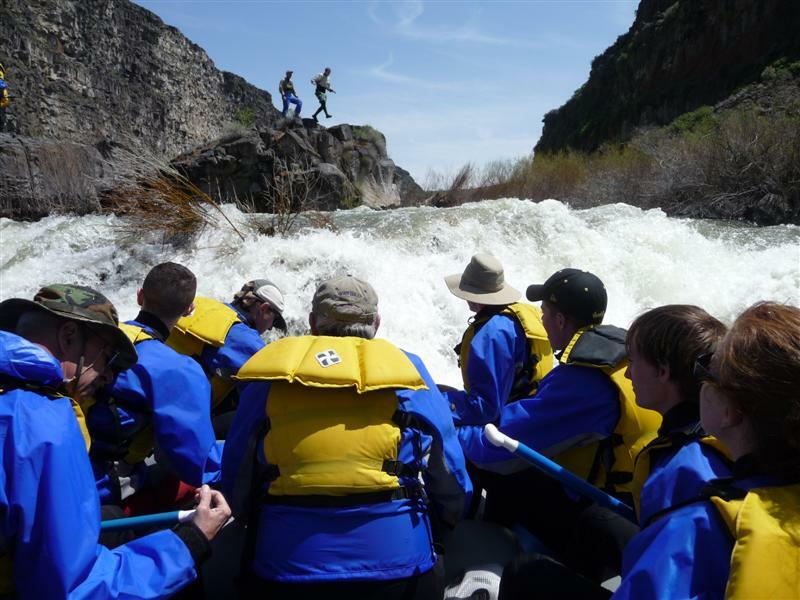 BOISE — (April 2, 2019) – Idaho outfitters are excited about mountain snowpack levels across Idaho because the abundant snow provides a strong indication of a promising whitewater rafting and jet boating season on rivers in the spring and summer of 2019. Idaho snowpack levels are above-average in the river basins that count the most for whitewater rafting and jet boating statewide. 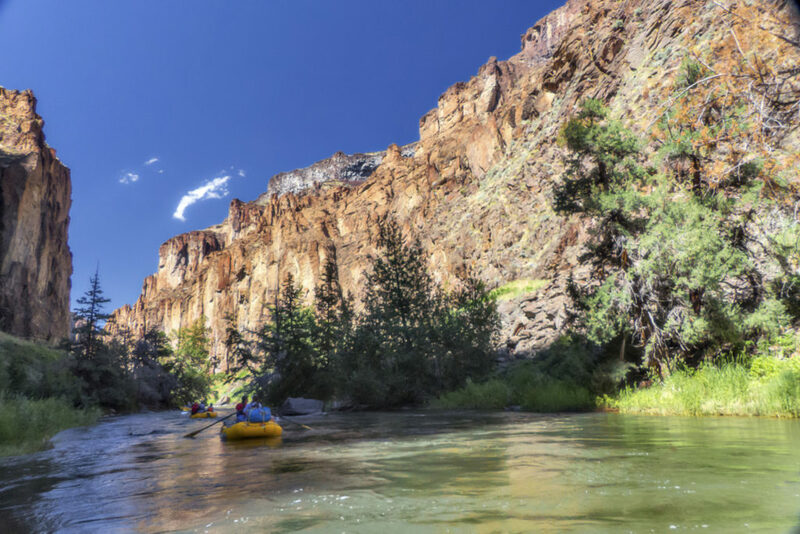 Snowpack levels are particularly strong in the Owyhee (130 percent of normal) and Bruneau river basins (121 percent of normal), where desert river trips are wholly dependent on natural runoff. 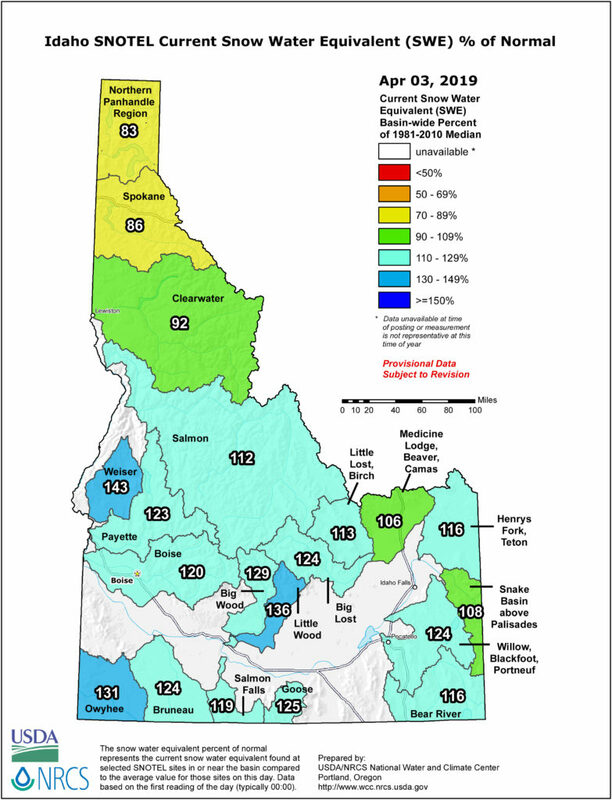 Idaho snowpack shows that Idaho river basins have lots of snow statewide. The Jarbidge-Bruneau River is one of the most scenic canyons in Idaho. Barker offers Owyhee River Trips and Jarbidge-Bruneau river trips in the Southwest Idaho desert, and he also leads unique 4- to 6-day canyoneering trips in the Owyhee Plateau. Because of deep snow in the Owyhee and Bruneau basins, outfitters can offer more trips in that region this year over a longer period of time. Running the Murtaugh section of the Snake River may be doable through May this year. Contact Idaho Guide Service for details. Consistent, bountiful water supplies in Idaho, combined with a strong economy, is leading to more outfitter bookings overall, outfitters say. People who want to go rafting and jet boating in Idaho should take action now to book trips before the remaining vacant seats are sold. 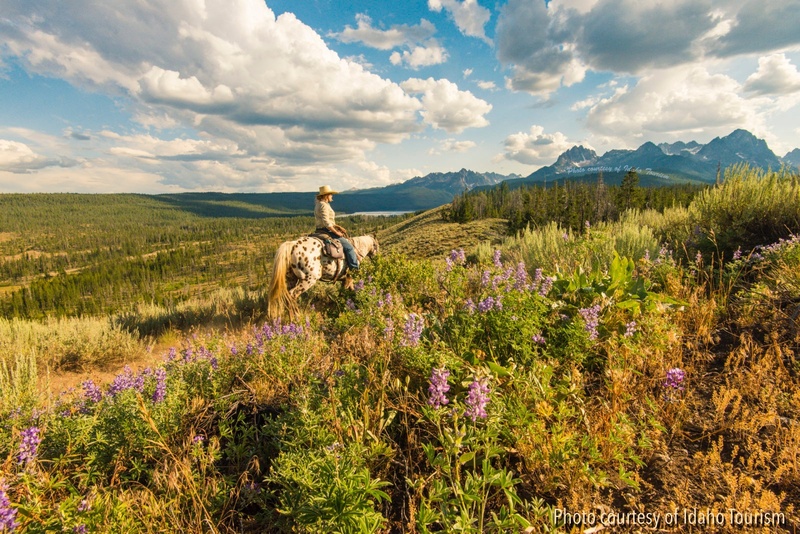 “Because of the strong economy, many outfitters have booked most, if not all of their trips this year, and they’re starting to book trips for the 2020 season,” said Jerry Hughes of Hughes River Expeditions. Hughes runs trips on the national wild and scenic Selway River and Middle Fork Salmon River. 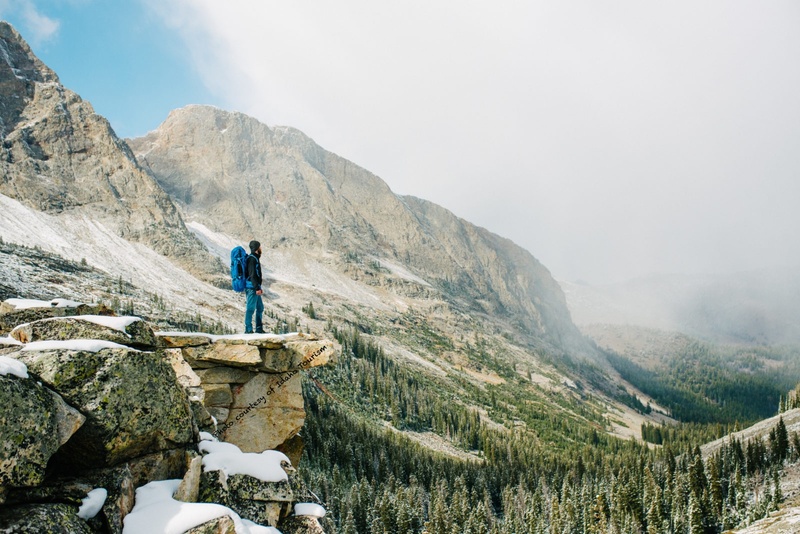 “Looking at the snowpack right now, it looks like we might have an ideal water year – not too much water, and not too little,” said Hughes, who has been a professional guide for 45-plus years. How the snow runs off and when is an important factor for jet boat trips, said Rich Friend, owner of River Adventures in Riggins. 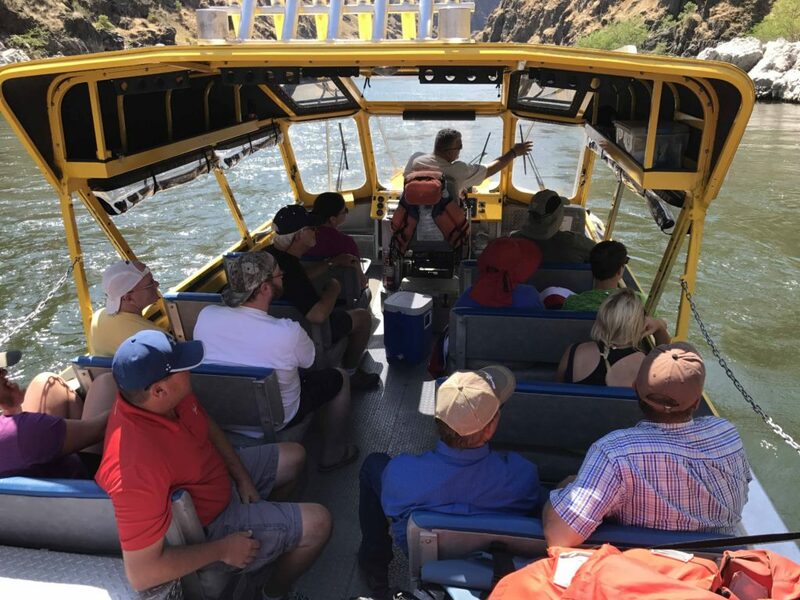 River Adventures offers day trips in Hells Canyon and on the Main Salmon River near Riggins and upstream into Central Idaho. 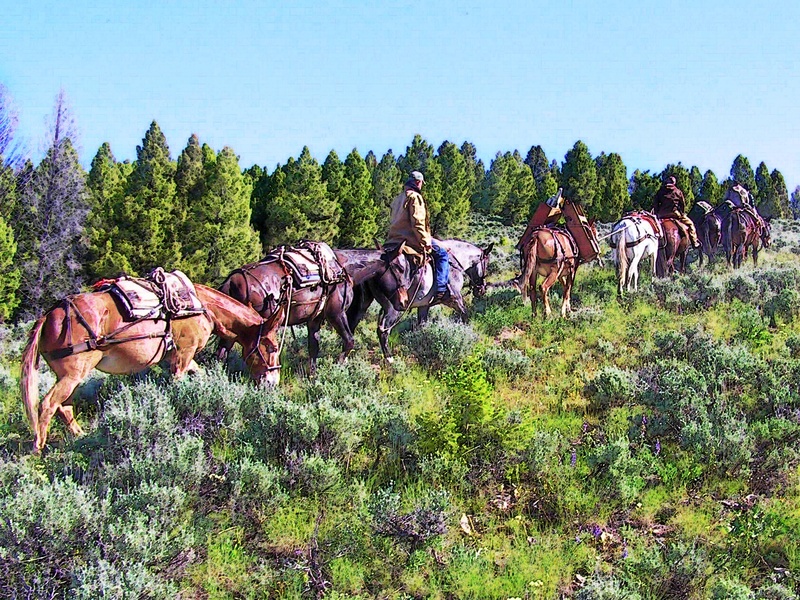 Hells Canyon Adventures provides a great tour of Hells Canyon all summer long. Guests can go fishing, wildlife-watching, including bighorn sheep, and enjoy scenic tours in Hells Canyon. “We’re looking forward to a great summer,” Friend said. 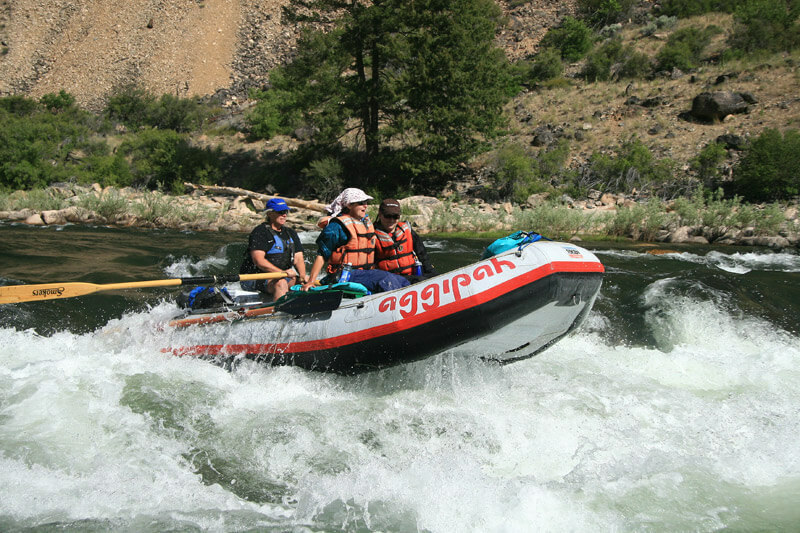 Snowpack in the Payette River Basin (125 percent of normal) and the Lochsa River Basin (93 percent of normal) means there will be plenty of fun-filled whitewater rafting on two of Idaho’s most popular day trip rivers. Hard-cores are just beginning to float both rivers as the snow begins to melt. The Payette River has natural runoff plus it feeds off of two reservoirs that provide season-long flows, making for a long summer season on the Main Payette, South Fork Payette and North Fork Payette. Abundant water and reservoir storage in the Upper Snake River region also means that floaters will have a rare opportunity to book trips on the Murtaugh whitewater section of the Snake River near Twin Falls in April and May. Several other, more mellow whitewater trips also will have a strong season, said Olin Gardner, owner of Idaho Guide Service in Hagerman. 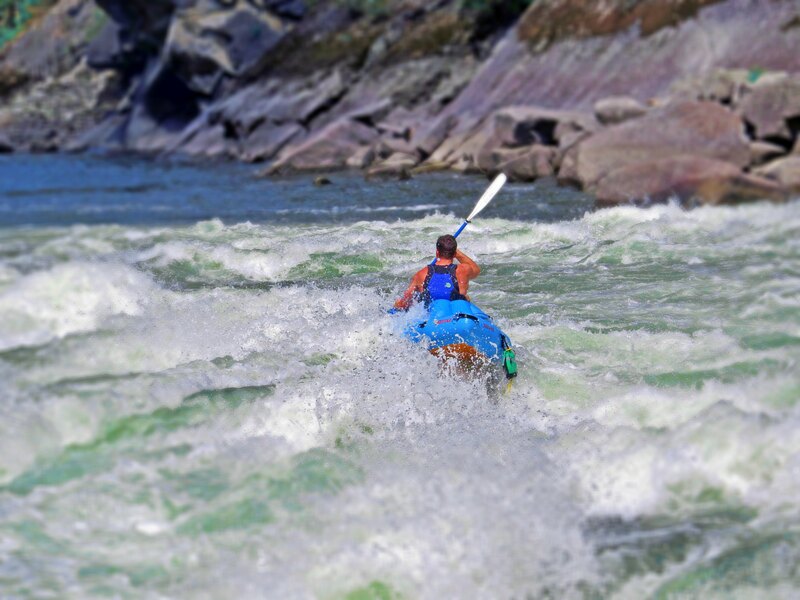 Hells Canyon has some of the biggest rapids in Idaho. The Main Salmon famed River of No Return section and Middle Fork of the Salmon River both appear poised for a great season, says Bill Bernt, owner of Aggipah River Trips in Salmon. The Salmon Basin has slightly above-average snowpack — 111 percent of normal – but the next two months of spring weather will determine exactly how the season plays out, Bernt says. 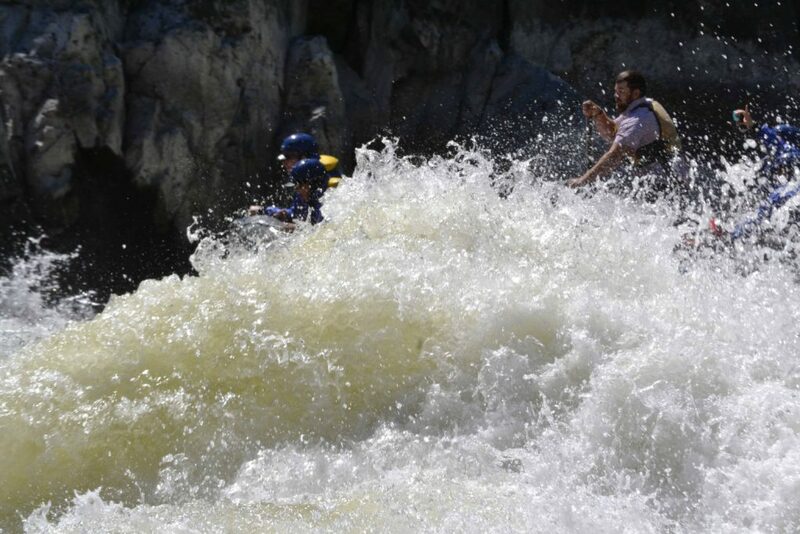 Tappan Falls on the Middle Fork Salmon River is always a charge. For information on booking Idaho whitewater trips, go to raftidaho.org and for jet boat trips, go to ioga.org/jet-boating.